What Are the Minimum Limits for Auto Insurance in Ohio? State Minimum Automobile Liability Limits in Ohio. Are you looking for the state minimum liability limits in Cincinnati? The best place to buy your state minimum liability limits is through an independent insurance agency. Call 513-662-7000 to receive a quote over the telephone,or click: Ohio state minimum liability limits to receive great prices on state minimum liability limits online. In the state of Ohio, it is illegal to drive any motor vehicle without insurance or other proof of financial responsibility. It is also illegal for any motor vehicle owner to allow anyone else to drive the owners be able without sufficient proof of insurance. What Are the Minimum Limits of Automobile Liability Insurance for Ohio? In the state of Ohio the mandatory minimum limits for Bodily Injury Liability Coverage are $25,000 per person injured in any one accident and $50,000 for all those persons injured in any one accident. The specified minimum limits for Property Damage Liability Coverage is $25,000 for damage or destruction of property of others in any one accident. Are the Ohio State Minimum Automobile Liability Limits Sufficient? In the event of a very minor accident where there are no injuries and very little property damage, the State of Ohio minimum automobile liability limits may be sufficient. If the damage you cause exceeds your policy limits on your automobile insurance policy in Ohio, you would be responsible for the difference. If you are a parent of minor children you would be responsible for any damage or injuries they cause. Additionally if you allow someone to borrow your automobile and they cause an accident resulting in property damage or injury, depending upon the circumstances you could also be held liable, this is better known as vicarious liability. What Happens When I Cross State Lines and Insurance Laws Are Different? Great question. For instance if you travel to the neighboring state of Pennsylvania, you should be aware that Pennsylvania requires lower limits of car insurance compared to the state of Ohio. Pennsylvania state law only requires $15,000 per person and $30,000 per accident for bodily injury while property damage is limited to $5,000. If you were currently covered by your Ohio car insurance policy at $25,000 per person $50,000 per occurrence and $25,000 of property damage these coverage would remain the same despite Pennsylvania’s lower limits. But if you were traveling from Pennsylvania to Ohio your Pennsylvania limits would be automatically increased to meet the Ohio state minimum liability limits as soon as you crossed the state line into Ohio. 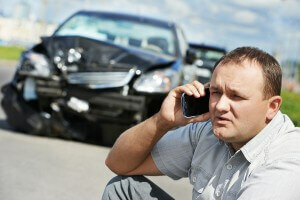 Examine Your Liability Insurance Needs Carefully! Each new client of our agency will receive a special report titled: How much liability insurance is enough? It’s vitally important that you examine your liability insurance needs otherwise a catastrophic accident that you are found to be responsible for could ruin you financially. Click here to learn more about the various coverage parts of the personal automobile insurance policy. If You Need Automobile Insurance in Ohio Call 513-662-7000, Or Use Our Online Insurance Imperative Ratings System by Clicking Here.